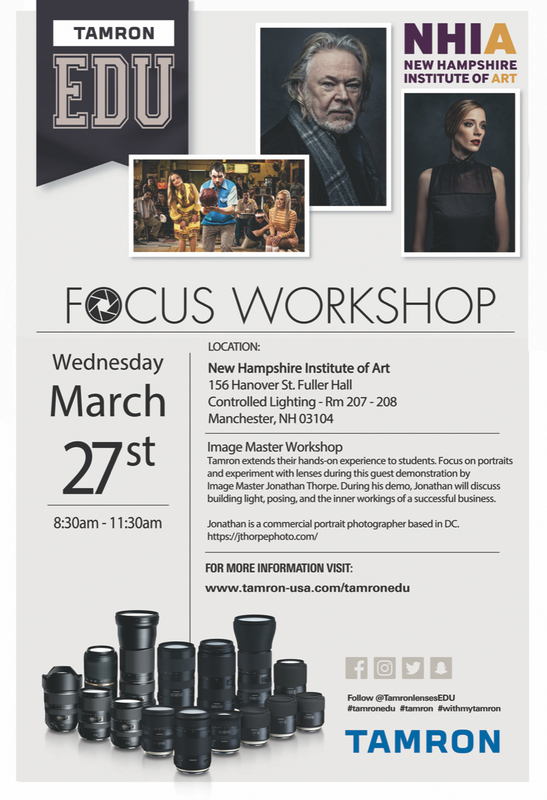 The Tamron EDU 2019 Focus Workshop & events continues its nationwide tour in 2019 making stops at colleges and universities. Tamron’s hands-on education gives students access to use of exciting new product. Test drive the latest lens technology, learn techniques from industry professionals, learn about lenses and their purpose for your upcoming projects. Follow the tour online @TamronEDU on Facebook, Instagram, Twitter and Snapchat. 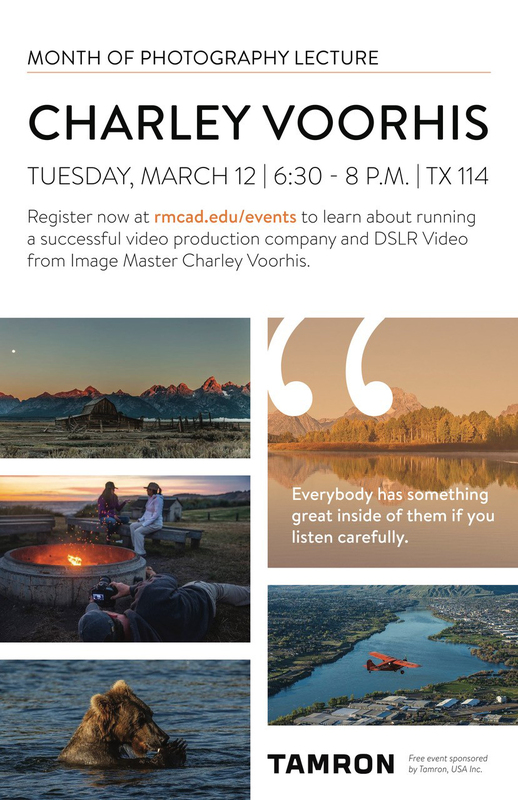 TamronEDU is proud to sponsor Image Master Charley Voorhis at RMCAD. His lecture will take a look at running a successful video production company and insights into DSLR Video.